L-glutamine is an amino acid that the body produces primarily in the muscles. It has several roles in the body, including helping with protein metabolism and with immune system function. 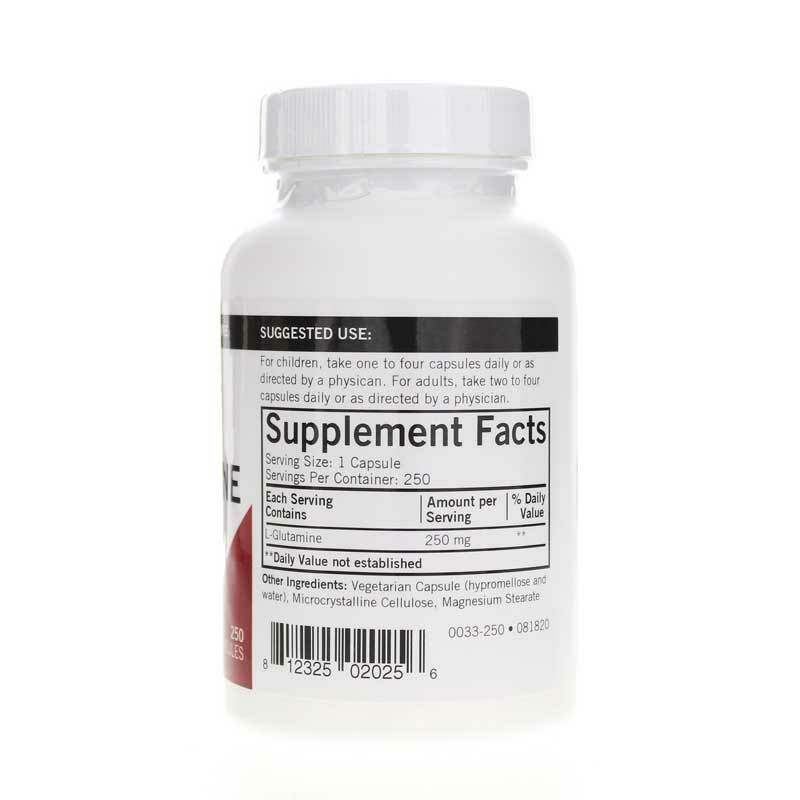 It is available as a natural supplement for times when bodily levels may drop. 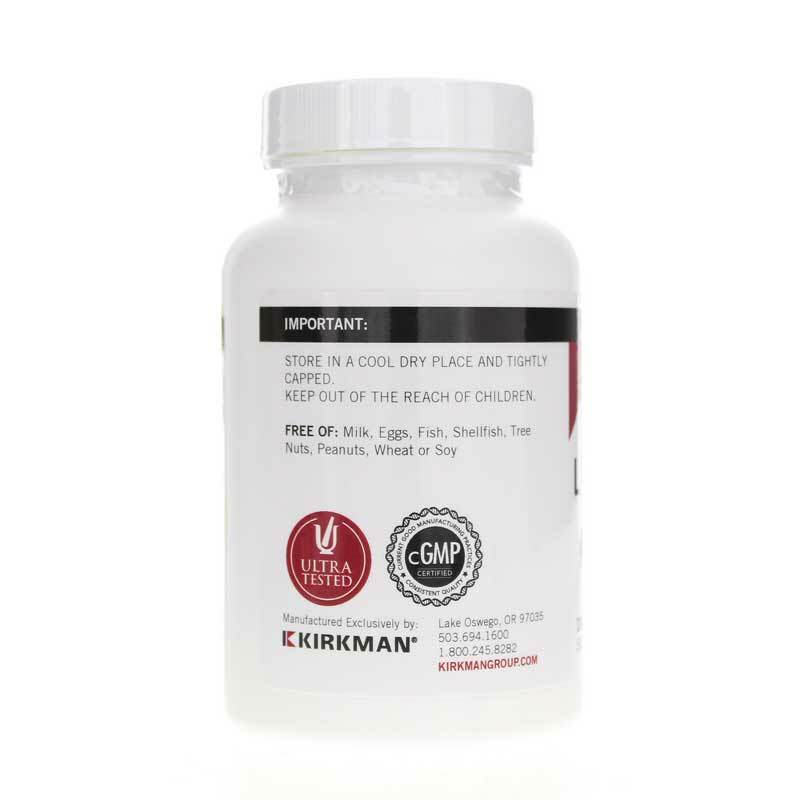 Kirkman offers a hypoallergenic natural supplement called L-Glutamine 250mg that seeks to support the immune system and tissue repair. This supplement contains no soy, starch, wheat, corn, gluten, casein, milk, egg, yeast, gelatin, peanuts, tree nuts, fish, colorings, flavorings and preservatives. It was tested for more than 950 contaminants, including bacteria, heavy metals, mold, pesticides and yeast. 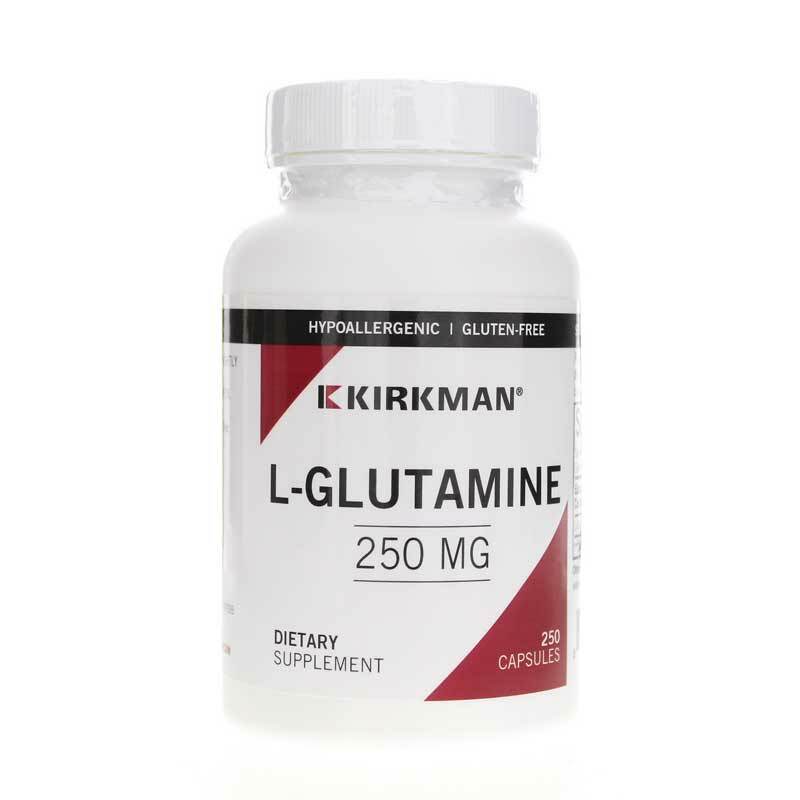 If you're looking for a hypoallergenic natural supplement that seeks to support the immune system and tissue repair, check into Kirkman's L-Glutamine 250mg. Order online today! Ingredients: L-Glutamine, Plant Cellulose, Magnesium Stearate (Vegetable), Plant Cellulose Capsule. Contains NO: Starch, soy, wheat, casein, gluten, milk, corn, preservatives, yeast, gelatin, flavorings, colorings, peanuts, tree nuts or fish. Children: 1-4 capsules daily or as directed by a physician. Adults: 2-4 capsules daily or as directed by a physician.